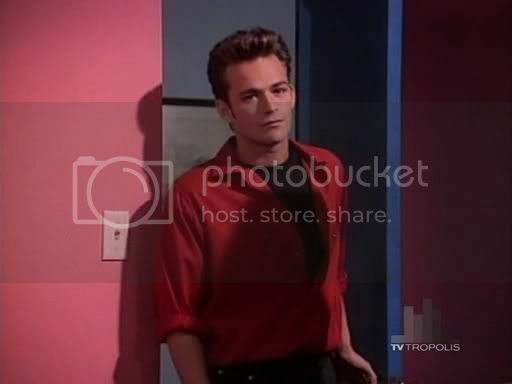 Fan Forum > TV Shows - Past > Beverly Hills 90210 > Dylan♥Kelly #14: Because One Kiss Changed Everything! Dylan♥Kelly #14: Because One Kiss Changed Everything! "I came back cause I missed you." "You fight with me cause that's when you're alive." Dylan to Kelly from 5.29. "I just know what I need for the first time in my life. I need you." Dylan to Kelly from 5.29. IMPORTANT: Do not talk about people who dislike D/K say on that thread. It's their right to have their opinion. Let's just discuss what WE think. Thank you. Aww. We really do have a beautiful opening. Thanks for starting Jaime. I'm brining this over from the previous thread. Gosh, our title feels like a movie by-line. Hee. But you know what's funny is that it wasn't even their kiss that really changed everything.. It just sealed the deal. It was their finally knowing each other that made all the difference. Find More Posts by .bian.carsan. It actually does sound like a movie line. I will miss our last thread title though. Yeah, it was a great title. All our titles are pretty good, you know. I have to go soon. I think we have the best titles. Last pic before I start work... Pfft. Don't you just love the way Dylan stares at Kelly? I love the way he looks at Kelly anytime. Cause he never looked at any other girl that way. She never looked at any other guy that way either. DK have So much passion and love just by looking at each other. He wanted her So much and she him you can see. I think "Because One Summer Changed Everything" would also be a good title, since it was more than a kiss. I think that even if they hadn't kissed during that summer at all, they still would have gotten together, because it was so much more than just physical, it was the whole summer that changed everything. That kind of makes Kelly and Dylan more special than K/B and B/D, because with Kelly and Dylan it was about the time spent and the summer together, while the other couples started with a kiss, Kelly and Dylan was more about the talking and the whole summer itself, even if nothing physical happened, they still would have gotten together, like the other title says They had the best summer of their lives. They also had the best first date in "Rebel with a cause" The observatory, outside at night with the stars, the dinner. The conversations about the obstacles they go through because of other people's judgements, how they are both judged based on the people they used to be and even though they both changed, the students and teachers still remember them as who they were. I'm skinny, sweet and naive. You bring up an excellent point. I agree with you... It's what I was trying to say earlier but you said it better. I really have to go now guys! See you again tomorrow... :wave Gnyt!! !